The project focused on two pilot regions: the Yamal-Nenets Autonomous Okrug in northwest Siberia and the Korak Autonomous Okrug in the Russian Far East, along the Bering Sea. From June to September 2001, field researchers visited select sacred sites, administered questionnaires and interviews with members of the indigenous communities, and held focus groups and community meetings. The head coordinators of the project, as well as many of the field researchers and assistants, were themselves indigenous people. The project documented 263 sacred sites in the Yamal and 84 in Koryak, although there are countless others that could not be included because of time and funding constraints as well as cultural restrictions barring access to sites. The CAFF report presents the research results from these two pilot regions—including detailed descriptions of the indigenous peoples and their sacred sites and legends, threats to the region, and current protection status. It also lays out a wide array of specific policy recommendations. According to the report, in the Yamal-Nenets Autonomous Okrug, on a peninsula in northern Siberia, the project worked with the Nenets indigenous peoples of the Tazovsky district, which covers more than 100,000 square miles but is inhabited by just 16,300 people. Most Nenets are nomadic reindeer herders, and fishing is also an important livelihood activity. With more than 120,000 reindeer in the district, it is one of the most important production centers for meat, antlers and hides. Nenets today maintain the religious practices of their ancestors, making offerings and sacrifices at sacred sites along key reindeer migration routes. Many sacred sites are located atop hills, which are often the only distinguishing topographical feature of the flat tundra landscape. Sites are usually marked by the skulls, horns and bones of reindeer, or by sacred poles and sledges. 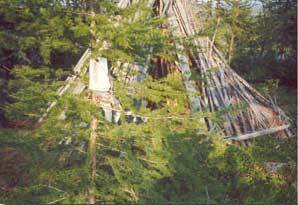 Rituals are performed to pay respect to the spirit owner of a site and to seek assistance. Most sites have an associated legend: an ancestor myth or a story of a tragic or fortunate event or magical occurrence. The Okrug contains enormous oil and gas reserves and, unfortunately, resource exploration and extraction is polluting and destroying vast areas of reindeer pasture, fish-spawning habitat and rivers. This industrial development not only threatens the Nenets’ traditional livelihood but their sacred sites and fundamental spiritual connection to the land. It also threatens the region’s delicate ecosystem and biodiversity. The second research area, the Koryak Autonomous Okrug, in the far northeast corner of Russia, covers nearly 187,000 square miles but is home to just 30,000 people. About one third of the population is indigenous, representing many different groups, and their communities are based primarily on reindeer herding or fishing. A collapse of state reindeer herding, however, has driven many more families to fishing and thus placed pressure on fish populations. 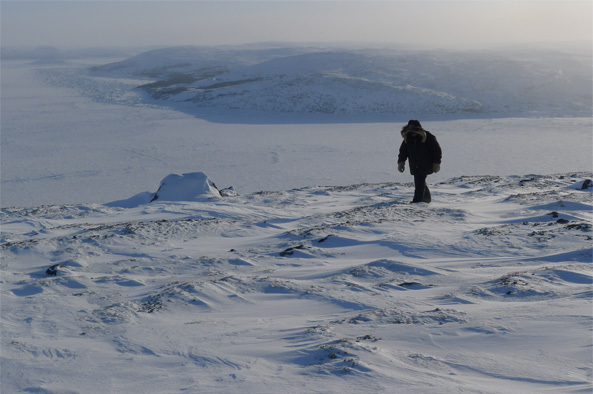 The indigenous people of this Okrug, like the Nenets, maintain sacred sites that are interconnected with their livelihood and sustain their culture through telling stories of their peoples’ past. Rituals and offerings, such as reindeer fat, food and tobacco, are used to pay respect to the spiritual inhabitant of each site and ensure good fortune. Many sites, often on hills, are home to a rich array of plants and wildlife, including endangered species. The Koryak Autonomous Okrug is threatened by coal extraction, oil and gas exploration and precious-metal mining. The report details both the environmental impact of threats, such as destruction of wildlife, vegetation and water supplies, and the impact on sacred sites. Increased development has brought increased access to sites by people unfamiliar with local culture and belief. Some sites have been burned or dug up, for example, by mining operations, while at other sites newcomers have looted sacred objects. The report also describes existing policy that may aid in preservation and recommends changes that could further this cause. The Russian Federation lacks a specific policy approach to the sacred sites of indigenous peoples and legislation to secure sacred sites, but existing laws related to environmental protection, cultural heritage and indigenous peoples’ rights could potentially be a means for sacred site protection. The challenge often lies in strengthening laws and ensuring that policies are enforced. For example, in the Korak Okrug, many local authorities are swayed by commercial interests in the mining industries, and thus tend to be opposed to legislative changes that establish protected areas or stronger indigenous rights.